Manufacturer of modern front doors. Choose your front door design from our catalog. Security front doors made in Germany. Take a look at our secure front door features. Front doors made out of aluminium. 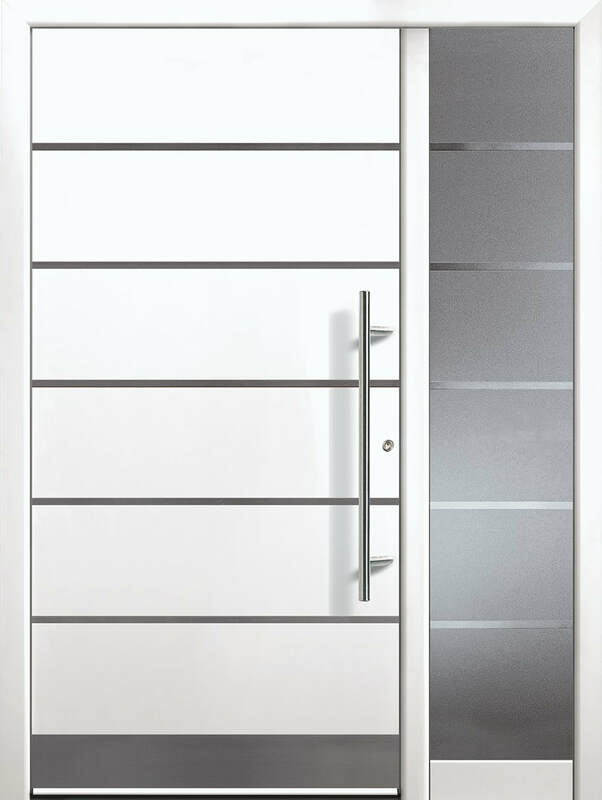 Groke Front Doors are manufactured in Karlsruhe, Germany and shipped worldwide. The subsidiary in the United Kingdom is providing modern aluminium front doors to England, Scotland, Wales, Northern Ireland and Ireleand.